Last week myself, Raoul Brand and Tony Gibson met up at the Handel House Museum in Mayfair, London to record floor and stair creaks for our collection. I’d come across the building a while back when I went to an event called The New Atlantis and immediately noticed (it’s hard not to, as you can probably tell from the video above!) how creaky the floor was. Therefore, I thought it’d be a perfect location for our latest Sound Collectors’ Club recording meetup. I brought along a Sound Devices 744T and Schoeps mic which was used as the main recording rig but Tony and Raoul also brought along their Zoom H4N’s which were used as room mics to pick up wider recordings. Approximately head height in order to imitate a typical boom position. This is for when the recordings are needed to supplement foley or production sound footsteps. Very close (about 10 inches) to the creaking floorboards in order to provide a potential element for sound design. Part of the reason I recorded at 96kHz was also to support this type of usage. Most of the rooms’ flooring provided similar kinds of creaking. The main distinction you will notice in the recordings (if you contribute to the set) is between the actual rooms compared to the landing at the top / bottom of the stairs. The stairs themselves had been renovated relatively recently so didn’t make as much noise as, say, the landing, which Tony nearly managed to put his foot through! Not really walking; just moving our feet in a way so as to coerce the biggest creaks out of the boards. Walking slowly and more naturally so as to get separation between creaks (for easier editing) and making smaller, more ‘everyday’ creaks (as opposed to the loud, ‘Haunted House’ creaks we were otherwise achieving). Hopefully, by considering these different aspects, the consequent recordings will be useful to you in a variety of different ways. For example, I could imagine using some of the recordings as a foley supplement in a period drama but others I could imagine using for creaky doors in a horror film. By the way, apologies to other members for having to limit our number to the three of us – it’s only a small building and because of the type of sound we were recording it would have been impractical for loads of us to go along. Many thanks to Martin Wyatt at Handel House for allowing us to record there, and also to Ella Roberts for being a very friendly and helpful guide to us on the day. If you’re in the area, I strongly recommend visiting the museum. They have an ever-changing programme of interesting recitals, talks and events which you’ll find listed on their website. 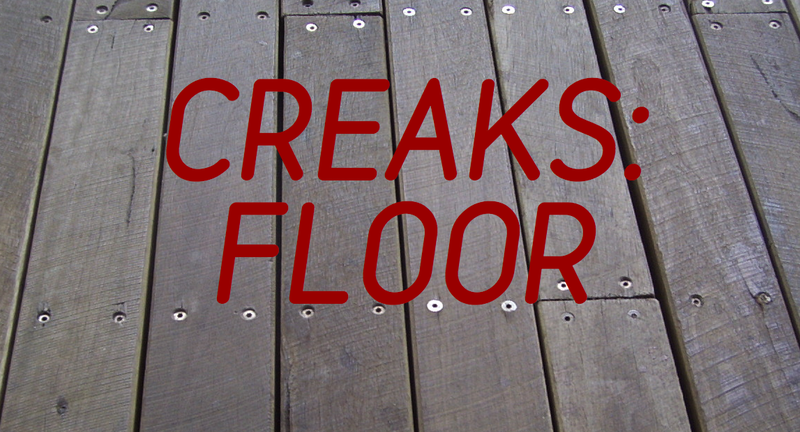 Finally, I’d be interested to hear what other participants in the ‘Creaks: Floor and Stairs’ Collection think of the recordings – feel free to comment here or drop me a line directly at thescclub@btinternet.com. P.S. Thanks to Raoul for providing the vid! P.P.S. Yes, I do normally keep my mic cables wound up more neatly! Just a quick post to try and minimise confusion for those currently referring to the upload instructions or legal page via the headers at the top of the website. As some of you may have noticed, these are out of date at the moment because they still relate to the old Soundcloud method of uploading that we used to use. I’m going to try my best to get this updated over the next few days but in the meantime please bear in mind that, with regards to uploading, all you need to know is that when you’re a member you will receive an e-mail invite to your own personal folder which will then appear in a special folder within your ‘Documents’ folder on your desktop (NB. all Sugarsync shared folders MUST stay in this folder otherwise they get deleted). Whenever you want to share a track with the club, simply drag it into your personal folder (which only you and I have access to) then I will check it and move it to the appropriate theme folder, e.g. Cafe, Car Doors, etc. and then e-mail you an invite to that particular theme folder. In this way, your personal folder should always be empty unless there is an upload pending for me to check. As you contribute to more and more themes, you will end up with a collection of different theme folders within your ‘Documents’ folder which you can COPY (not move) to your FX drive, or perhaps create an alias of on your FX drive if that’s easier. As for the ‘Legal’ page, this is exactly the same in principal, I just need to adjust it to relate to Sugarsync rather than Soundcloud. A wide variety of different crowd reactions are always useful. I think it’s great to be able to shape your FX tracklay for a crowd scene so that the sound doesn’t solely depend on the crowd ADR for energy, dynamics and narrative. Sure, you do often need to lay a more generic ‘bed’ for the crowd presence but when you add any necessary ‘ooh’s!’, ‘aah’s!’ and cheers, etc. on top of that the scene can really come to life – and also helps any crowd ADR that you do shoot to sit into the mix more naturally. Bearing in mind that I may run a theme for large crowd reactions in the future, I’ll describe how I’m going to distinguish between the two sizes of crowd. For now (I can always adapt the collections in the future if necessary), consider this small crowd collection to be for groups of, say, 5 people (e.g. watching sport in a bar) to 200 people (e.g. cheering at a concert in a small church hall). Less than 5 people may be getting a bit to close to the realms of crowd ADR and start requiring the use of release forms, so we’ll steer clear. I may need to eventually cater for a ‘medium’ category but, for now, I’m imagining the other ‘large crowd’ collection to cover small concert halls to stadiums. Despite all my examples being interior, the crowd reactions that you share can be interior or exterior recordings. 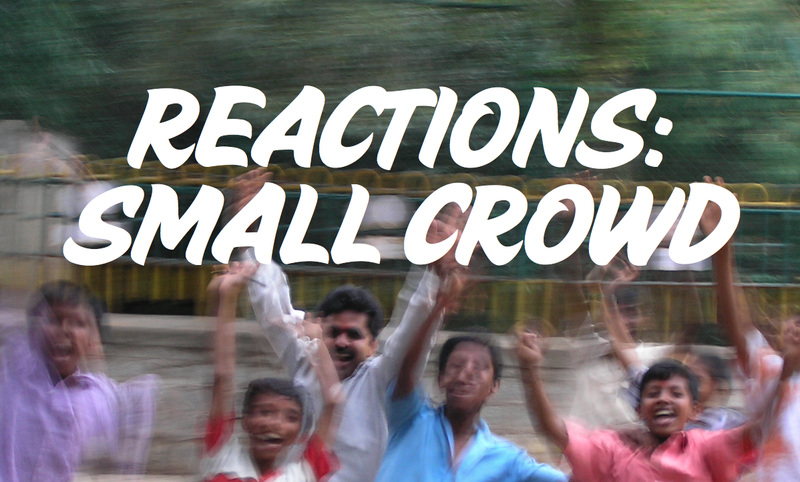 I must emphasise that this theme is for crowd REACTIONS! General chat tracks won’t be accepted unless they contain the reactions within, in which case it’s obviously counter-productive to remove the ‘vibe’ that surrounds the important boos, cheers, gasps, etc. That’s it! I really can’t think of any other conditions that need to be spelled out. Oh, apart from please state your location / language in your track name or metadata. This is always important for recordings shared with the Club but especially so when voices are involved. Lastly, the more the better. If possible, it’s great to have a few reactions in a recording in case the scene calls for it. Otherwise, you end up searching for other recordings that match in terms of crowd size and acoustics, which is a bit dull. Suddenly dawned on me this week that this is clearly the most convenient way for members to submit new tracks. Drag your submission(s) into this new folder on your computer and I’ll get e-mailed a notification. I can then check the track and approve it before moving it to the relevant folder and giving access to that contributor. You don’t have to contribute via this route (yet!) – you can still upload via Soundcloud (or any other means) if you prefer but I do recommend this as the most straightforward option. Updated ‘How to Upload Your Sounds’ page and new ‘FAQ’ page to follow very soon…..gradually getting there with all the housekeeping! A lot of adjustments I’m making for this 2012-13 season are intended to streamline my whole admin process so that even when I get really busy at work I can still keep the Club efficient and up to date. Thank you all for your patience in the meantime! Here we go with the 2012-13 Season! Before I talk about the latest theme I’d just like to chat a bit about the new membership year. The Club’s top contributors have already been given free membership for another year. For everyone else, and as a kind of rally call to get as many people on board as possible from the start of the season, I’m offering membership at half price until the end of May. After that, the membership fee will go back to the usual £20 for the rest of the 2012-13 season. If you’ve contributed to the Club over the past year then you’ll need to renew your membership if you want to continue to have access to those themes. I’ll be making these adjustments over the next week or so, so please act now whether you want to renew your membership (and don’t want the hassle of downloading everything again) or whether you don’t (and want to download everything before you’re excluded). If you’re new to the Club then now’s the perfect time to get involved. For the next couple of months, a tenner and a few of your own recordings can currently get you access to over 20 gigs of sound fx recordings made by sound professionals from all over the world. Please bear with me over the next couple of weeks as the new membership year has coincided with me being in the depths of simultaneous temp, pre- and final mixing (don’t ask!) so chances to focus on the Club are few and far between for the next couple of weeks. Once that’s done, I’ll complete the transition from Soundcloud to Sugarsync which has dragged on over the last few months, focus on a bit more Club promotion and also I’d like to use the start of this new season to talk a bit about what the Club’s achieved over the past year and what goals I have for the 2012-13 season. Coming soon. Right, back to the latest theme: Car Doors. 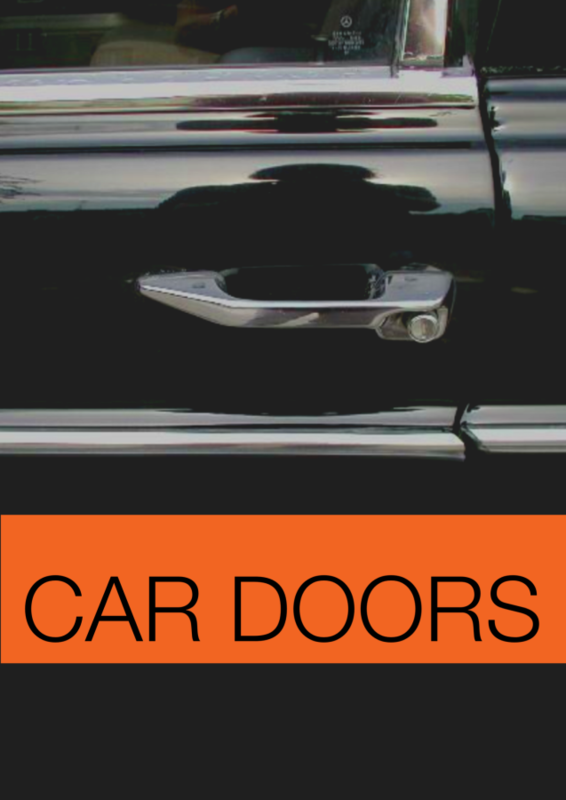 In any scene, film or tv, a car door open or close is one sound that is nearly always worth checking the production rushes for. Whenever possible, I use these real sounds from the location recordings as they sound more natural than using recordings from another time and place (ditto with any doors that aren’t part of a set). If necessary, I might beef them up or tighten them by means of parallel compression. However, although this method offers authenticity and naturalism, sometimes it is necessary to add one more layer to infer more meaning in the sound than is inherent in it’s original state. Perhaps the car door needs to sound like more of a solid ‘thunk’ to suggest quality (and therefore wealth) or more of a hollow ‘clang’ and rattle to declare the vehicle as a complete and utter rust bucket. So, in other words, what I’m after for this collection is car door sounds with character and meaning. Don’t share your bog standard clunks and slams; I’ll get those from the rushes and they’ll fit the picture better. Instead, please share interesting car door sounds that are descriptive of the vehicle and, by association, it’s owner. Truck, lorry, van, etc doors are all allowed too. As I often mention, please try and get the door from different angles and intensities – namely harder and gentler opens and closes shot from exterior close, exterior wide and interior. Also, getting the boot / trunk sound is useful to complete the set. Please let me know what vehicle the door belongs to and provide a photo if possible. I thought it might be a good idea to double up this month as it seemed silly to stretch out two such similar themes over two months. This theme brings us the closest we have been so far to the world of foley recording. 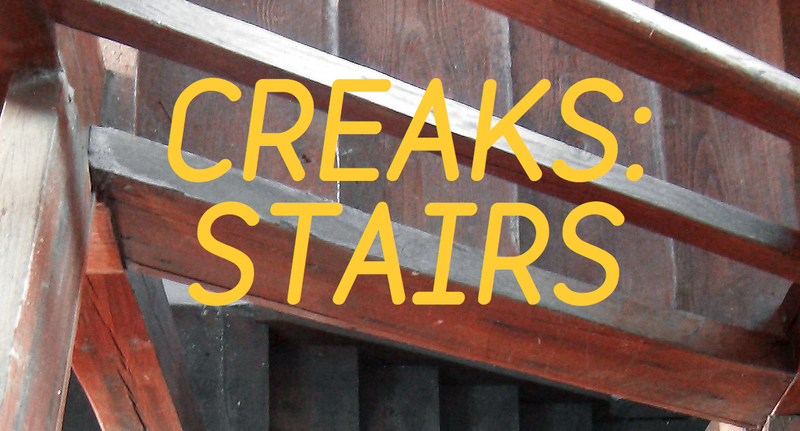 Good floor and stair creaks, recorded from head height in order to mirror location recording, can be useful for sweetening foley or production footsteps. However, if you think a particular floor creak has potential for manipulation or as an element in a layered design then it may well be worth recording much closer – you be the judge. If you do record some floor creaks with the intention of them being sweeteners then please record a decent amount of them. Bear in mind that, with longer scenes in particular, it’s handy to have a generous length of track available from which you can cherry-pick the creaks that suit each particular moment. Try and get a variety of intensities of creak out of your chosen surface; the shorter, subtler creaks are sometimes more useful than the big ol’ horror movie ones. Record yourself or a volunteer making the floor or stairs creak; don’t record an ambient track of the general public passing by because this will also carry extraneous noise (movement, voices, etc.) with it, which we don’t want. Perhaps remove your shoes so that your creaks aren’t spoiled by being tied to actual footfalls. Be careful with the room acoustic: Decide whether this is useful to have in your recording or not. Remember that it is a lot easier to add reverb than remove it. Having said that, if a room has a nice acoustic, perhaps consider recording two-track mono – one closer boom and one more distant room mic. Don’t contribute stereo files; it’s just a waste of drive space. 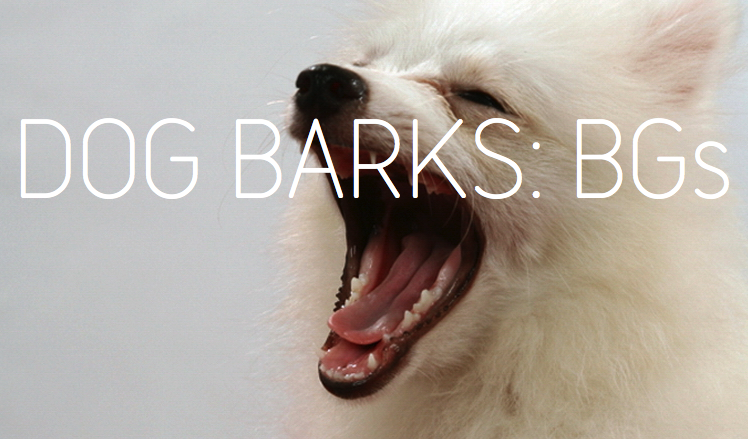 Include photos and thorough meta descriptions with your recordings whenever possible too. Although, the images above would suggest otherwise – the surfaces do not have to be wood, they just have to creak in some way. If your floor and stair recording are from the same location and ‘match’ then please reflect this with appropriate naming but make them separate files (because they will go in separate folders – you still need to contribute to both in order to get access to both sets). Well, that’s about as thorough a set of instructions as I can muster at 12:30 am! If I think of anything else worth mentioning I’ll add it (or tweet it) but I think that’s everything. If anyone else wants to add anything useful to this guide then please feel free to comment below. As with all the ‘Extras’ at the Club, this is a bit of an experiment. The thinking behind it is kind of an evolution from the idea of The Knowledge which I’m considering discontinuing as a feature of the Club. Unlike the Knowledge’s wide open (but perhaps too vague) ambition for members to collect and share any general notes, tips and info relating to sound collecting, ‘Think Tank’ is intended to simply be a melting pot of ideas and inspiration relating to the Club’s specific themes. People can contribute photos, articles, videos….pretty much anything they want (in as polished or as rough a state as they wish) as long as it informs or inspires members collecting sounds for one of the Club’s themes. Contributions to Think Tank can be made using Gimme Bar which, if you’d like to contribute, you’ll need to add to your Bookmarks Bar and then you can simply grab images, articles or videos online to add to the pot. Basically, it’s a sexier and cleverer version of Delicious. My plan is to invite all members to collaborate with these Gimme Bar collections. If people add stuff, great but, if not, then I’m happy to treat the collections as my personal scrapbooks for members to dip into as they wish. For a while, I’ve been looking for a format to enable me to gather together the various notes, vids, drawings or photos that I seem to accumulate in the process of collecting sounds (‘field notes’ if you will, that are sometimes useful to refer back to but seem a bit scruffy and disjointed to publish in an actual blog post) and I’m hoping that Gimme Bar might provide an attractive solution. This feature is in a very early beta stage so I won’t go to town fully explaining how to use Gimme Bar in this collaborative way just yet – I’ll build up some of the collections a bit first and then send out collaboration invites to all members. However, if you’re interested in checking out the basic concept a bit further, you can check out my first additions to the pot: I’ve made a small start on a ‘Trains: Design’ Collection by adding a couple of rough vids and jottings I made whilst recently hunting down a Leaf Blower Train to record. More info to follow in the coming months via the Home page of the website and Twitter. Happy New Year all sound collectors! The first theme of 2012 is inspired by a question posed by Rene Coronado on the Social Sound Design forum just before Christmas, and very well answered by Paul Virostek. 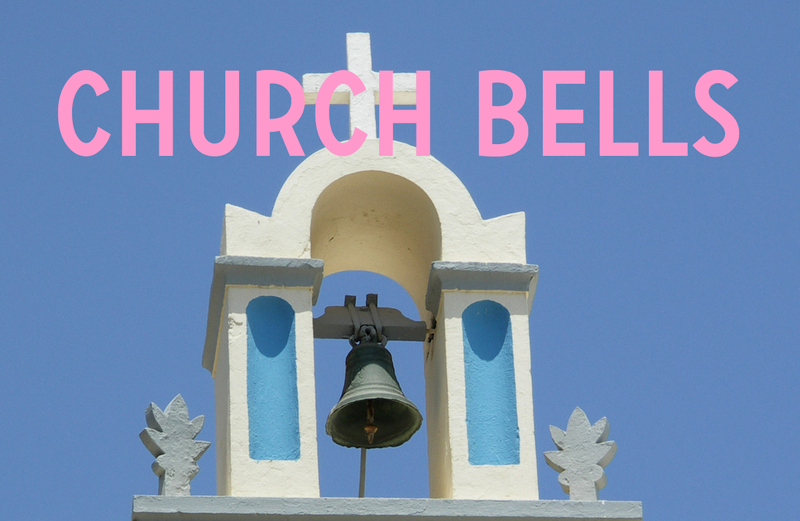 Church Bells has been a popular suggestion on the poll I set up a while back too so I thought I’d finally select it as a new theme. All different kinds of church bell sounds are welcome: Close recordings from within bell towers to ambient distant tolls (with the usual proviso that the subject must not be swamped by other ambient noise such as traffic). A couple of stipulations though: No handbells. All bells must be operated by some kind of mechanism rather than being handheld. Secondly, although I’ve specified church bells as the theme title, recordings of bells attached to any religious building are acceptable. Oh, and one last thing; whether you record one toll or a dozen, you must get the entire series, i.e. don’t miss the first bell toll or cut off the decay of the last, otherwise the recording can be impractical to use.